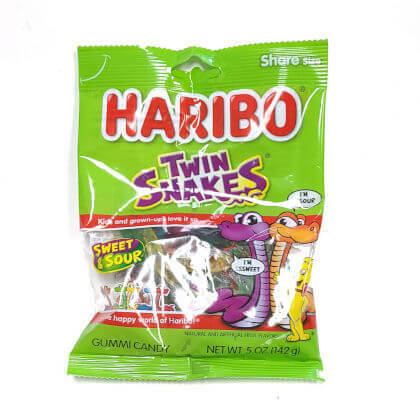 Sweet and sour gummi twin snakes. Firm texture. Imported from Europe by Haribo. Approx. 17 snakes per 5 ounce peg bag and 3 inches long.